The southwest was an early hotbed of the uprising against President Bashar al-Assad and defeat there would leave rebels with just one remaining stronghold - the area around Idlib province bordering Turkey in the northwest. A string of rebel-held locations in southern Syria passed into regime control Sunday as the government regained more ground under Russian-brokered deals, a war monitor said. The statement said Russian Federation and Iran were violating the agreement they made and that it was "no surprise" that they proved to be "totally untrustworthy". Tens of thousands of people have fled toward the border with Jordan and thousands more to the frontier with the Israeli-occupied Golan Heights. Neighbouring Jordan says it can not afford to take any more refugees and is turning away the internally displaced at the border. Another rebel official said some towns were trying to negotiate deals with the state on their own. Israel seized much of the Golan from Syria in the 1967 war and annexed the strategic plateau, a move not recognised overseas. So far, the USA has remained silent in the face of a breach, and rebels are accusing them of making a "malicious deal" to remain silent. 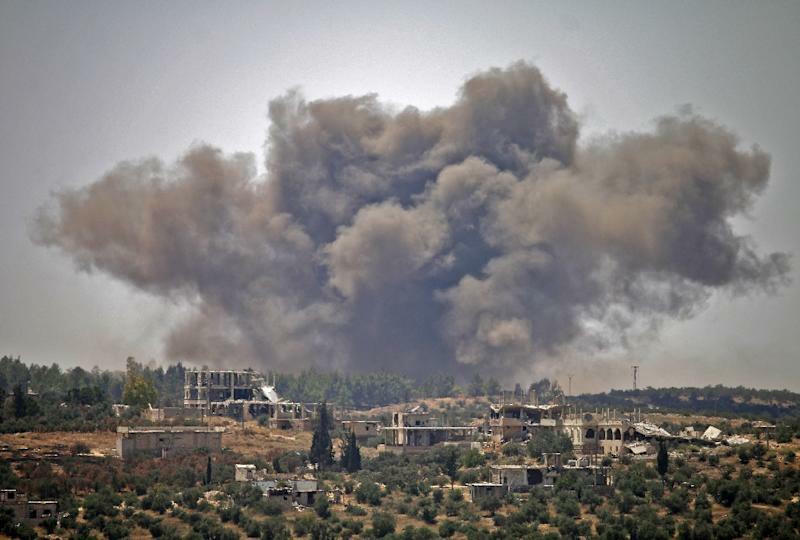 Russia-backed regime forces have been bombarding insurgents in southern Syria since June 19 in an effort to retake areas. At least 270,000 people have fled their homes in south-western Syria since the military launched an assault on rebel-held areas two weeks ago, the United Nations says. The war monitor says that almost 100 civilians have been killed.